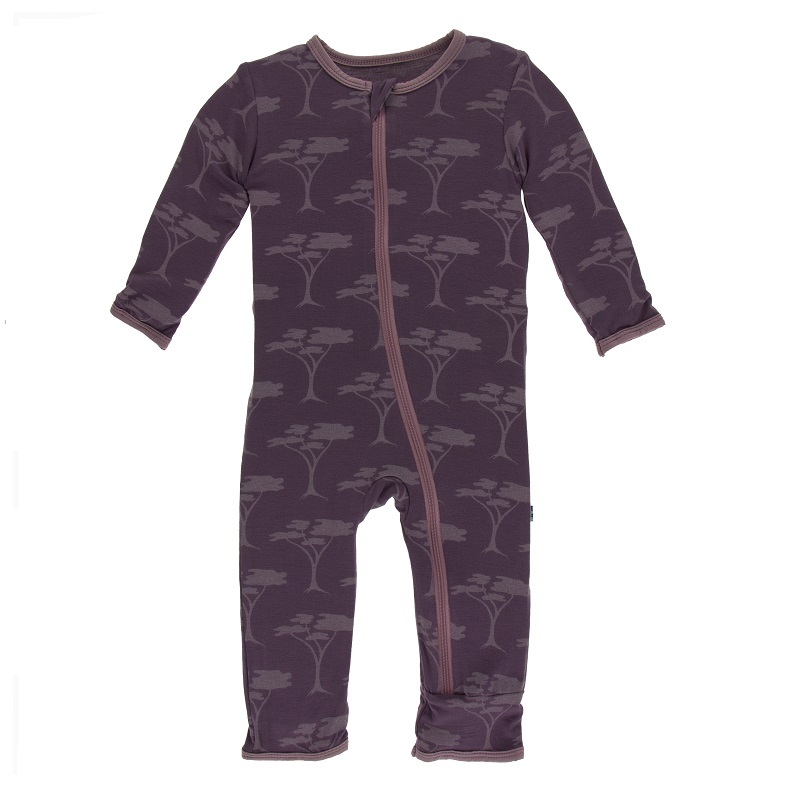 This fun Fig Acacia Trees coverall is perfect for cooler days! This features a fun all over tree print. Sizes 6-9 and smaller will be the classic fit while 9-12 and up will be a snug fit. Bamboo is perfect for children with sensitive skin and allergies. 95% bamboo, 5% spandex by Kickee Pants.